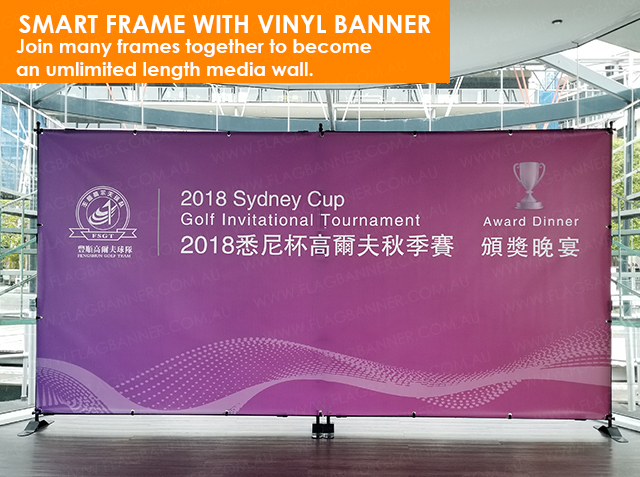 Mesh Banner with Eyelets & Velcro Tie (Wind Resistance Material for Outdoor Use) *** For Outdoor Use Would Require Professional Installation Service & Extra Structure Re-Enforce. 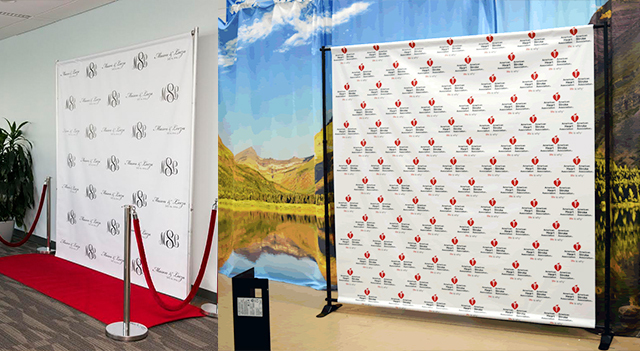 Universal Banner Media wall is a super flexible in size media wall product. 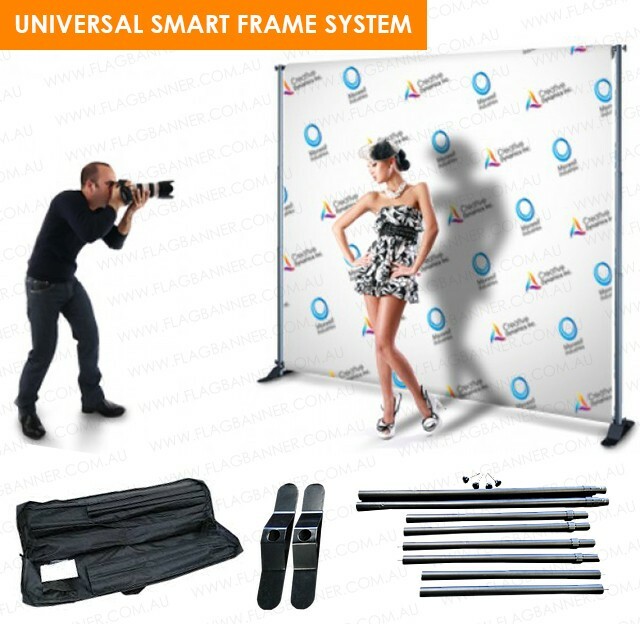 This pop up media wall comes with Smart Banner Frame System + Premium Quality Full Color Printed Media (PVC Banner Material / Farbic Banner Material) + Easy Travel Carry Bag. 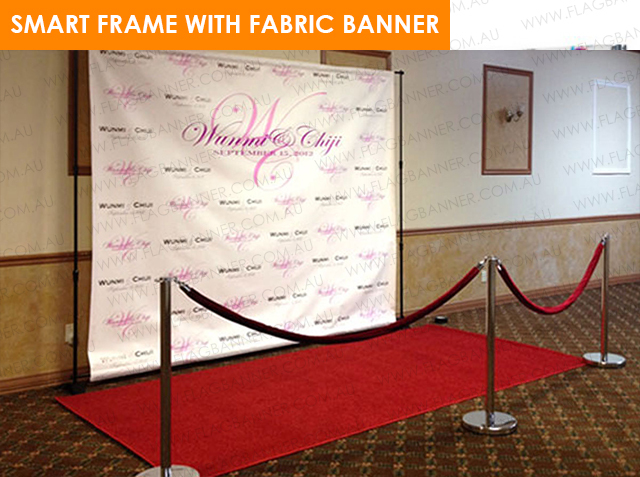 You can adjust your banner frame WIDTH from 180cm wide , up to 300cm wide. 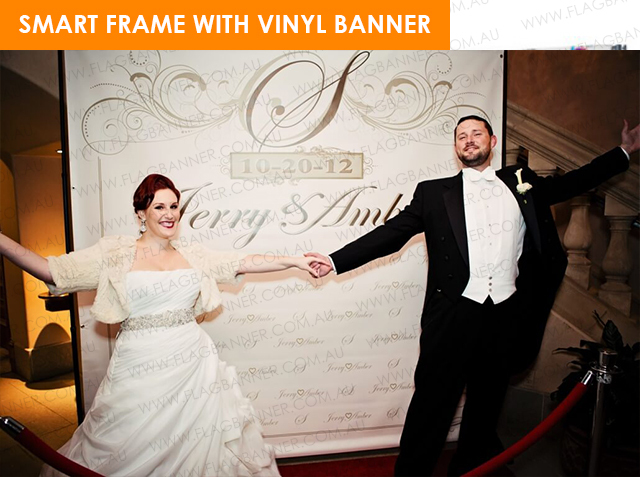 You can join as many frames as you like together to become an umlimited size media wall. Enter you graphic size above to get your custom quote. Artwork size to be same size as graphic display size, in CMYK mode, 150dpi. For example , graphic display size is 300cm W x 230cm H, Artwork size would be 300cm W x 230cm H.
Please keep all important text and logo minimum 5cm away from 4 edges. Please save artwork in PDF format. All texts to be outlined. We will make 10cm high pocket on back of top and bottom edges for frame system inserts. Please avoid to have important text & logo placed on 10cm stitching line (10cm from top and bottom edge).